E. Borukhovich, M. Boeff, A. Monas, M. Tegeler, S. J. Kim, C. S. Oh, I. Steinbach. 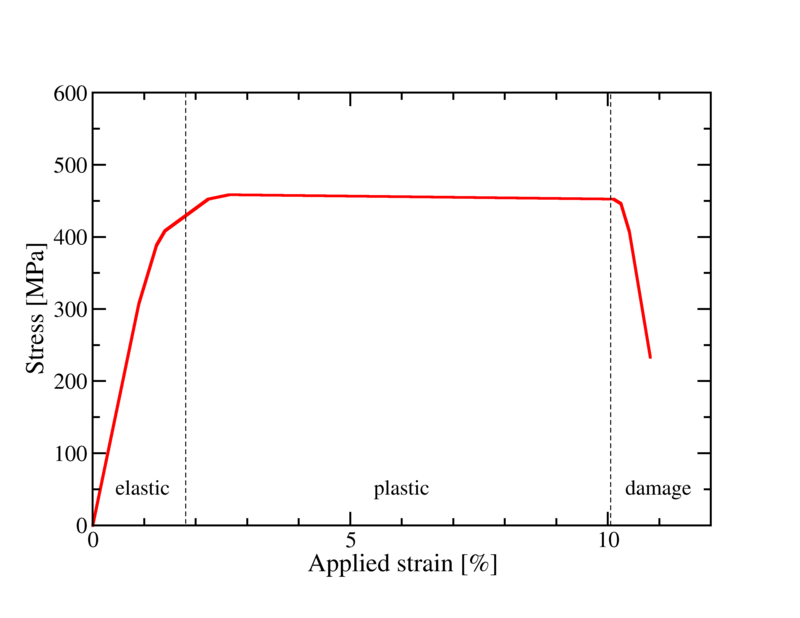 Stress-Strain curve as result of the virtual tensile testing of the simulated solidified Mg-5Al microstructure. Both simulations are performed within the OpenPhase framework. The phase-field method has emerged as the method of choice for simulation of microstructure evolution and phase-transformations in material science. It has wide applications in solidification and solid state transformations in general. Recently, the method has been generalized to treat large deformation and damage in solids. A through process full-field simulation will be presented starting from solidification and ending with the evolution of damage during large deformation. Aspects of numerical discretization, efficient numerical integration and massive parallelization will be discussed.